It is inconceivable to us that Mr Claus did not receive remuneration for his delivery services. To take just one year as an example, his accounts for 2008 showed transportation and employment costs of £500 million and, yet, his turnover is shown as nil. It is not credible that such a significant business could operate without any trading income. Mr Claus had contacts in many obscure jurisdictions and offshore centres and we find, as a question of fact, that somewhere he has hidden income to at least match his expenditure. His business must therefore be subject to VAT. Representatives for Mr Claus argued that even if that were the case – which was not admitted – it was impossible to identify precisely when and where the supplies were made (this was, in fact, a matter of considerable confidentiality and supplies could be withdrawn if such details were ever known by the recipients) and that therefore, at worst, the UK could impose VAT only on a proportion of the supplies. As the UK was only one of almost 200 countries in which the business operated, it was argued that only 0.5% of the total assumed income should be subject to UK VAT. Mr Claus has never registered for VAT and we find his business dealings highly suspicious, obscured by a web of secrecy and characteristic of some of the worst scams and laundering operations we have seen. Mr Claus’s representatives are at pains to present a portrait of a somewhat benign gentleman; we are not convinced. Unless and until Mr Claus can offer a more transparent explanation of his international dealings, we feel obliged to assume the worst. VAT will therefore be chargeable on his total supplies. We have also asked the Serious Fraud Office to begin an immediate enquiry. 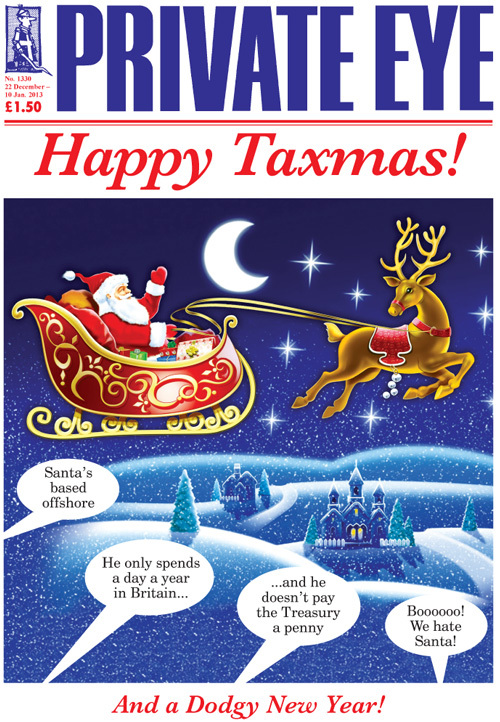 In a separate hearing scheduled for early 2013, Mr Claus will appeal HMRC’s VAT assessment in relation to the manufacture and supply of the goods themselves. This is a worrying case. Our understanding is that HMRC are now considering the unusual step of seeking the unpaid VAT from the recipients of Mr Claus’ supplies and/or the confiscation of the goods. We understand that many of our clients have had dealings with Mr Claus and his associates. For further information on the VAT issues relating to international supplies, please contact the TaxDesk on 0845 4900 509 and ask for Kevin Hall. Brilliant! Would you have any objection to my copying this for my clients? With an acknowledgement to Gabelle if you would like?